Fundraising to change the lives of waste-pickers in Titagargh , West Bengal.Change the lives and protect Environment with your support! Solid waste management industry thrives at the fringes of the society. In the dirty corners of the neighbourhood where Bottles are washed in deadly chemicals with bear hands, children work with dirty and dangerous medicine stripes. Cables are burned to get the brass within. The larger society pities them, avoids them and at times hates them. They are often beaten up in suspicion of theft, and are not allowed to walk in homes of so called respectable neighbourhoods. No civic body work exclusively for them and they are often illegal to the government bodies. Most of them have no social security documents. Working with waste, people who work here turn to waste themselves. Chhai Math (Field of Ashes) is a site of informal solid waste management in Titagarh, under Kolkata Metropolitan area, in the eastern state of West Bengal, India. 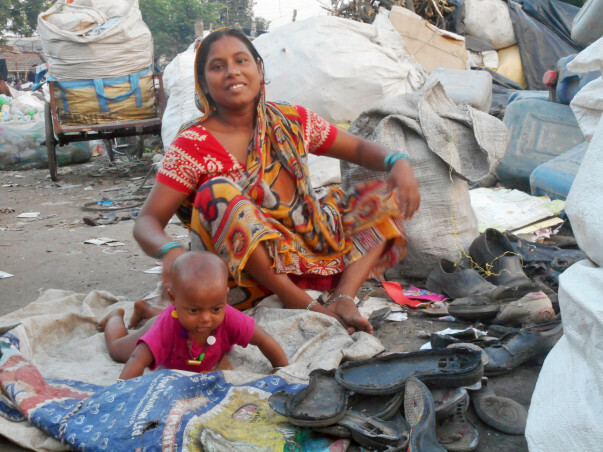 Neighbouring localities do not practice segregation, endangering environment at large and waste pickers. Chhai Math is populated with 20000 inhabitants, 90% of whom work as waste pickers (80%), labourers (10%) and itinerant buyers. 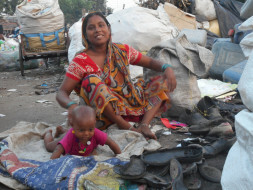 80% of these waste pickers and labourers are women, children and adolescent, who work amidst grueling working hours and minimal or no employment security. Waste to Energy generation might be a better solution for not only having a sustainable future for these people better utilization of waste.